Circuses and high-flying trapeze artists are part of every child's education, I suspect. Those moments of delighted amazement that accompany feats of grace and daring on slender ropes and bars high above the ground are the stuff of circus legend. 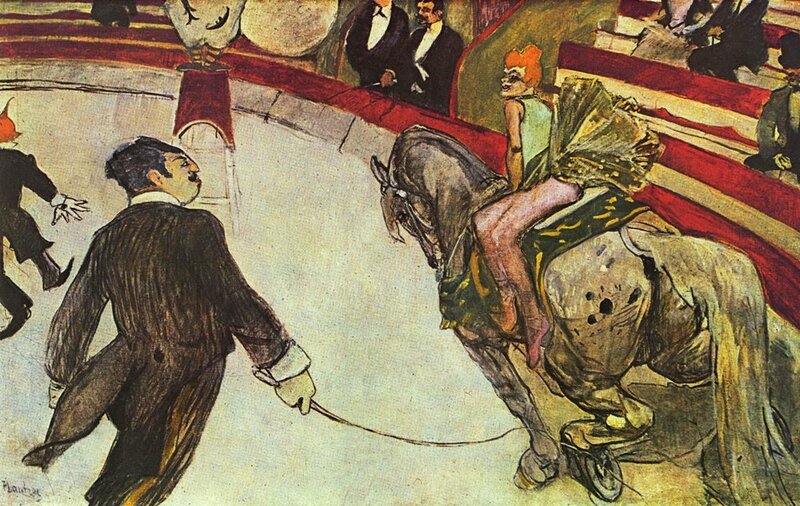 Circuses have long been the subject of artists too - think of Toulouse-Lautrec's penetrating and ultimately sad and solitary depictions of circus performers, Chagall's vibrant versions of circus life and of course, Pablo Picasso's Rose Period paintings of circus harlequins. 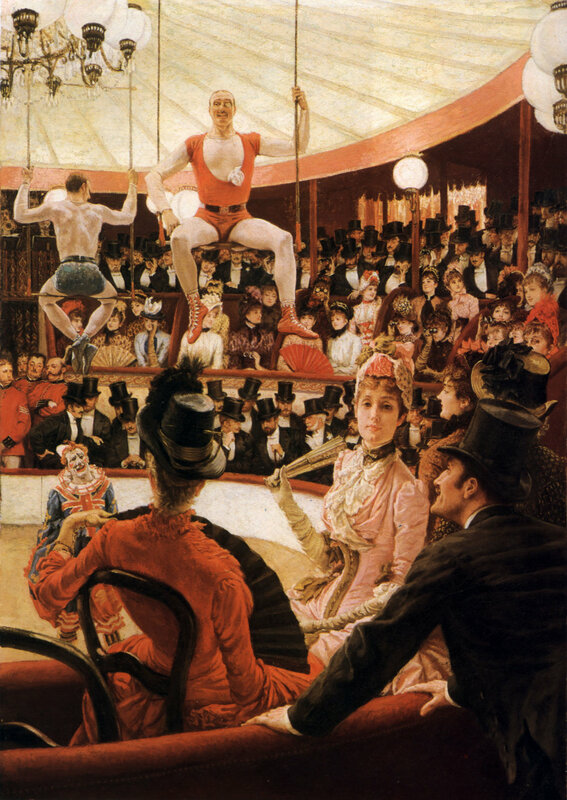 James Tissot, an accomplished French painter from Nantes, who lived from 1836-1902. painted Women of Paris, the Circus Lover, showing the fascination audiences had with the high bars. Below, too, is the famous - but unfinished - Georges Seurat pointillist painting from 1890-91, The Circus. Perhaps one of the most wonderful images of circus grace and skill is Edgar Degas' Miss La La at the Cirque Fernando, a mastery of draftsmanship. This oil painting, in the National Gallery, London, was painted in 1879 from four preparatory drawings Degas did at the Circus. 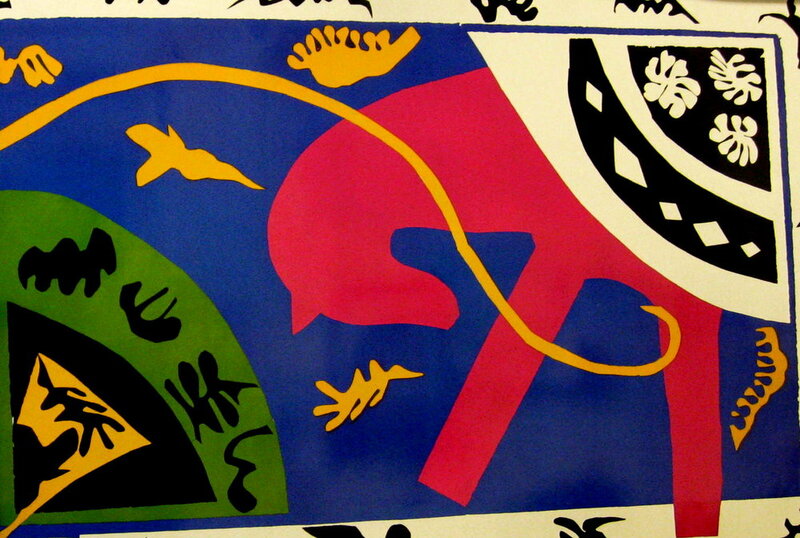 Other artists have painted dramatic pictures of the circus. 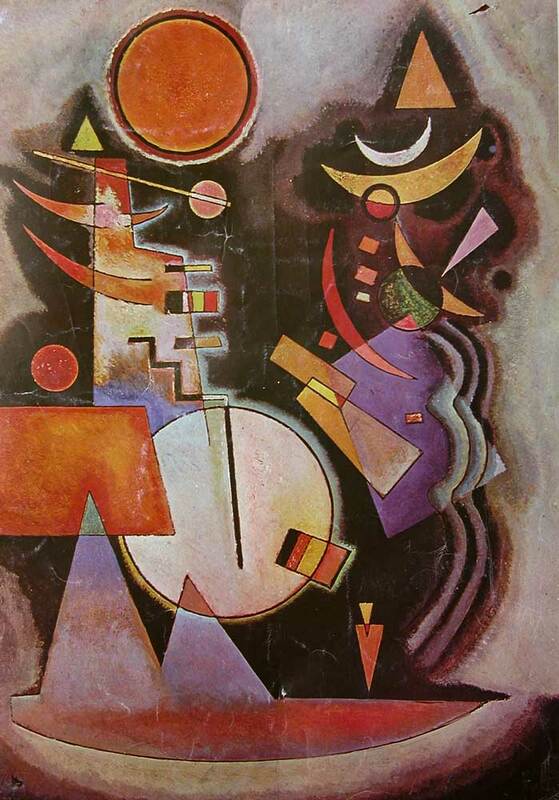 It is astonishing to find how many artists have been attracted by the subjects of clowns and circuses! The same sense of wonder at seemingly effortless soaring and beauty, high above one, was what I experienced last night at a performance of Canopy Studio at the Ashantilly Center in Darien, GA. As the sun set and the swallows called high above the wide lawn in the evening sky, the lights came up slowly beneath an ancient, graceful live oak. Rigged carefully from its limbs were different harnesses, scarlet "ropes" and other lines. These were for a performance of the "Royal Sequined Aerial Circus", with solo and duo aerial ballets that were diverse and beautiful. A wide selection of music allowed the young, beautifully trained women (and one delicious small girl) to move in ways that were true ballet, yet ballet that almost defied gravity. Against the backdrop of the mighty oak tree, it was magical. I kept feeling that I should be trying to draw all the flowing, elegant movements, but the other half of me just wanted to sit there and savour of the pure beauty. 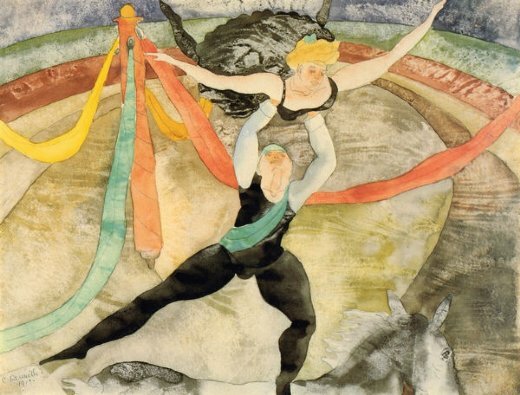 It did make me all the more aware of those 19th century artists who, long before cell phone cameras or other means of capturing images instantly, caught the essence of the aerial ballets they watched under circus tops.